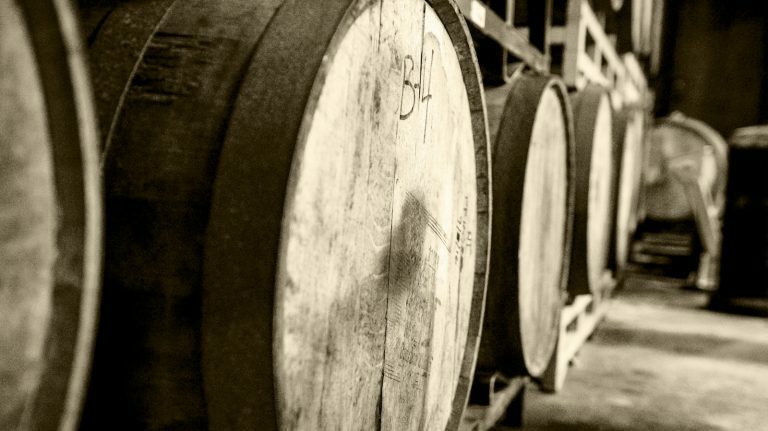 Baseball may be the national pastime, but bourbon is the national spirit. 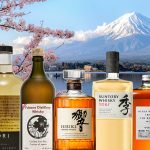 This season, those points of pride converge once again as several minor league baseball teams hurl a changeup—temporarily adopting names that honor their local whiskey heritage, often accompanied by in-stadium whiskey perks. In a nod to the whiskey-making past of Peoria, Illinois, the class A Chiefs become the Distillers a few times each season. 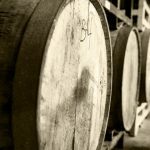 Prior to Prohibition, Peoria was heralded as the “Whiskey Capital of the World,” with a minor league team, the Distillers, representing the city up until 1917. 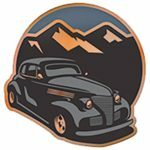 In 2018, the Chiefs revived the Distillers name to play the Bowling Green Hot Rods (reimagined as the Bootleggers) for what has become the annual Battle for the Barrel. 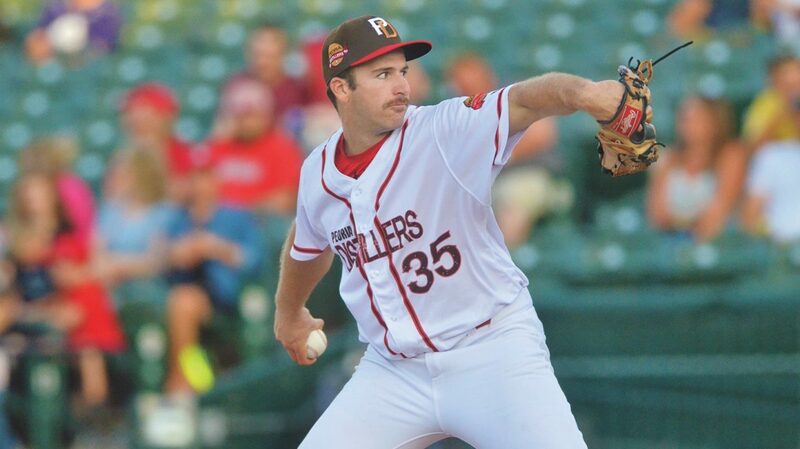 The Chiefs connect the community with Peoria’s history by decorating the stadium with photos of historic Distillers players. “We have a responsibility both pre-game, on our social media, or on our website, and our communications with our fans to educate them about what we’re doing and why we’re doing it,” says Nathan Baliva, director of media, baseball operations, and community engagement. 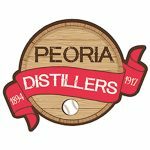 The Distillers will get another shot at the Bootleggers, who outran them last year, when they play the 2019 Battle for the Barrel scheduled for May 4th in Peoria. 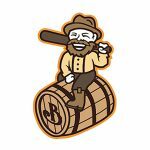 For a scheduled three-game series this July, the class A West Virginia Black Bears will assume their persona of the Moonshiners, paying homage to the state’s popular Prohibition-era practice. 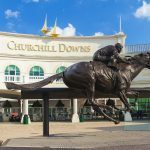 “With the moonshine culture in West Virginia being so rich here, we just figured it would be a hit,” Travis O’Neal, sponsorship and promotion manager said. An even bigger hit: the Moonshiners merchandise, which features an old-timey hot rod, like those used by illicit moonshiners to outrun the law. 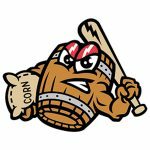 Not to be outdone, the class AAA Louisville Bats will again become the Mashers, as they don the emblem of a fierce-looking barrel character toting a sack of corn, the primary grain in the state’s well-known bourbon. Following a great response in 2018, the team will once again partner with Evan Williams to become the Mashers for three games this season, with fans enjoying flights of Evan Williams bourbon for just $2. 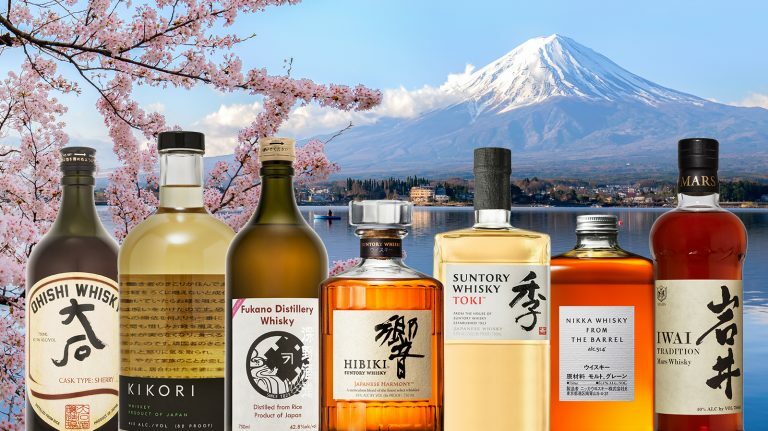 If you’re in the vicinity, make it out to the ballgame when these teams are toasting your favorite tipple, or check online to score some limited-edition gear to let the world know you’re on team whiskey! This whiskey-themed baseball gear is in a league of its own.